Buy Heide Goody and Iain Grant a Coffee. ko-fi.com/heidegoodyandiaingrant - Ko-fi ❤️ Where creators get paid by fans, with a 'Buy Me a Coffee' button. 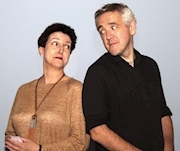 Heide and Iain met at Birmingham Writers’ Group and started co-writing in 2012. Since then they have self-published more than ten comic fantasy novels. Their books feature regularly in the top twenty of the Amazon satire charts. Welcome to |Heide and Iain's Ko-fi Page. If we've made you smile and you want to buy us a coffee while we plan more funny books, then thank you! Secured Payments. Support goes to Heide Goody and Iain Grant's account. Upgrade Heide Goody and Iain Grant to a yearly Gold Membership with a one-time payment.